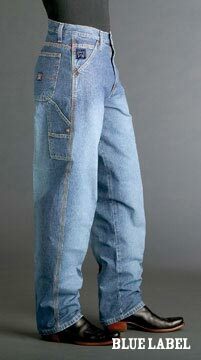 These Blue Label Men's Cinch Jeans are a carpenter style with a traditional length. Great to wear out on the town or around the barn. You can pair these quality denim jeans up with one of our Cinch shirts that we have available in a variety of styles and sizes to choose from.